Chaim S. Abittan, M.D. joined North Shore Gastroenterology Associates in 2001. In addition to being a gastroenterologist who is known throughout the New York area for sucessfully performing colonoscopies on high risk patients, Chaim is a hepatologist. He graduated from the Sackler School of Medicine in Tel Aviv, Israel in 1994 and completed his Internship and Residency in Internal Medicine at North Shore University Hospital at Manhasset and Memorial Sloan Kettering Cancer Center in New York City in 1997. He then completed a dual Fellowship in Gastroenterology and Transplant Hepatology at New York City’s Mount Sinai Medical Center in 2000. Chaim had the distinction of being the last fellow to work with the renowned Dr. Henry Janowitz. During his fellowship, Chaim authored scholarly reseach articles with Dr. Charles Lieber, a world expert in alcoholic liver disease. Chaim is an attending physician at North Shore University Hospital in Manhasset, NY, North Shore University Hospital at Glen Cove in Glen Cove, NY, and the St. Francis Heart Center in Port Washington, NY. He is proud to serve on the Medical Executive Board, the Ethics Committee and Blood Utilization Committee at St. Francis Hospital. He is an active member of several professional societies including the American College of Gastroenterology, the American Gastroenterological Association, the American Association for the Study of Liver Diseases and the Crohn’s and Colitis Foundation of America. Chaim is continuosly involved in peer education and gives several lectures a year on the foremost treatments for gastrointestinal ailments. In 2010, he as appointed an honorary New York City Police Surgeon, and is honored to care for law enforcment officers and their families. 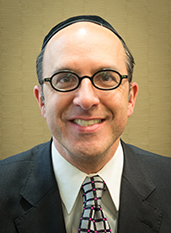 In addition to being a physician, Chaim is an ordained Orthodox Rabbi who is a board member of the Sephardic Congregation of Long Beach. He lives on long island with his wife, Lisa, and their children.